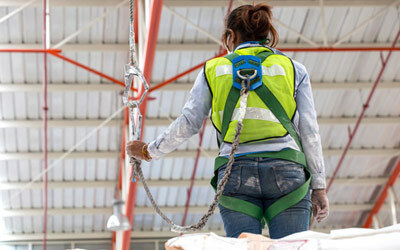 Year after year, falls on construction sites remain the number one cause of preventable fatalities and injuries. In fact, of the 937 construction fatalities reported in 2017 (Bureau of Labor Statistics), 350 of them were the result of a fall from elevation. As part of their ongoing initiative to bring that statistic down to 0, the U.S. Department of Labor’s Occupational Safety and Health Administration (OSHA) will kick off its fourth annual National Safety Stand-Down the second week in May. This year’s weeklong initiative will run from Monday, May 8, 2017, through Friday, May 12, 2017. The purpose of the Safety Stand-Down is to raise awareness of preventing fall hazards in construction. It is a voluntary nationwide week-long event during which OSHA hopes that construction companies, trade associations, and other employers and agencies will take the time to recognize hazards and steps they can take to eliminate risks. This can be accomplished during a break, toolbox talk or other means. Another important aspect of a Safety Stand-Down is the unique opportunity it presents to create a forum for an open dialog between employers and employees about the hazards they see and the organization’s specific safety policies and goals. Employees can help identify the unique hazards that may help shape and improve a site’s safety policy and ultimately prevent workplace injuries and fatalities. Anyone can participate in a Stand-Down event. Past participants have included commercial construction companies of all sizes, residential construction contractors and subcontractors, unions, and government agencies among many, many others. This year, OSHA is partnering with the National Institute for Occupational Safety and Health (NIOSH), the National Occupational Research Agenda (NORA), the National Safety Council, the American Society of Safety Engineers (ASSE), the U.S. Air Force and others. 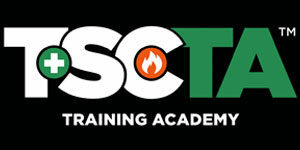 OSHA and their partner agencies are fully committed to the success of this year’s Fall Prevention Stand-Down; we at TSC Training Academy are just as committed to spreading information that will keep you and your workers safe. Throughout the Fall Prevention Stand-Down, we will be actively working share information and drum up support from the field as the Industry highlights safety on the job. Follow along on our social media channels: Facebook, LinkedIn, and Twitter for tips, pictures from the field, and to-be-announced sweepstakes.